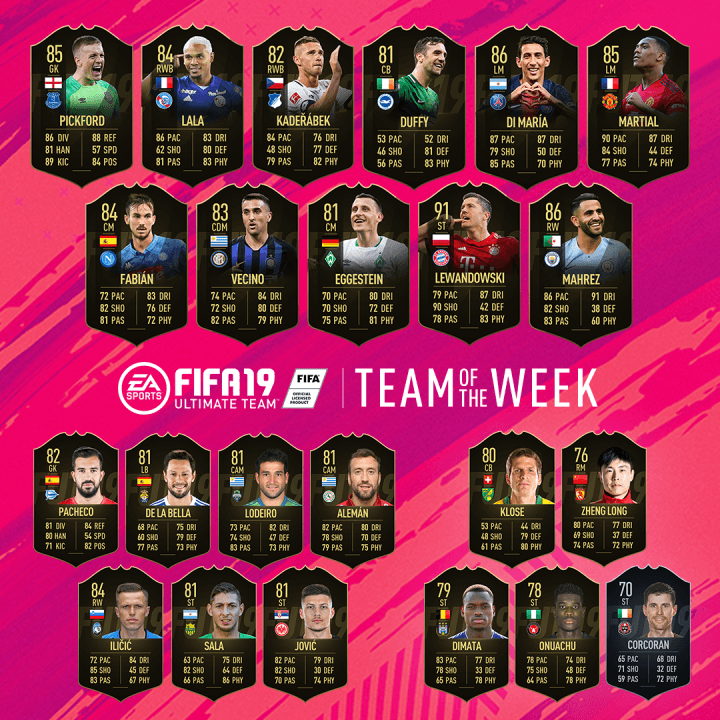 The latest FIFA Ultimate Team, Team Of The Week is here, meaning I’ll be breaking down some of the best inform card’s coming onto the market. FC Bayern’s star Poland international striker makes the cut this week after having a heavy influence (with 2 goals) in Bayern’s vital 3-1 win over Wolfsburg last weekend. Bringing an end to the Bavarian’s winless streak of 4 games. Lewandowski also helped himself to a goal in the Champions League encounter with Aek Athens last night, signalling a clear sign the lethal number 9 is nearing top levels of performance. EA have rewarded the 30yr old with a 91 rating including the following stats, 90 shooting, 87 dribbling, 79 pace, and 83 physical attributes. With stats including 85 stamina, 89 free kick accuracy, shot power 88, finishing & positioning of 92, the card is already nearing very nicely stacked and balanced. 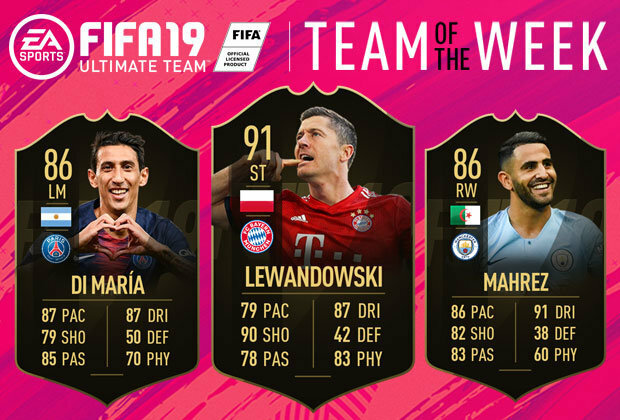 With Lewandowski’s card also possessing the 4* dribbling skills and weak foot quality, demand and price are likely to be sky high as the card will continue to be a superb choice for buyers going well into the new year. The Algerian superstar features this week due to an impressive showing last weekend during Manchester City’s 5-0 drubbing of Burnley FC in the Premier League. Grabbing a goal and assist Mahrez will be looking to cement his place in Guardiola’s side for the foreseeable future. 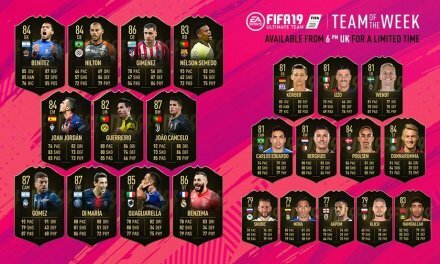 For those of you invested in the Ones To Watch card (like myself) that card will also be boosted to match the new inform card rating and attributes boost. The card is another fine choice for players with a premier league based side. An 86 rating is complemented with 86 pace, 82 shooting, 91 dribbling, and 83 passing. Making the Mahrez IF card quite comfortably one of the best right-sided wingers available at this stage in the game. Standout stats are the 94 agility, 92 dribbling, and 89 acceleration. With the 5* skills also in effect, Mahrez’s high agility and dribbling figures will make this card very fun to play with. Argentina’s Angel Di Maria gets his week in the EA spotlight for a fine performance in Paris Saint Germain’s polished win in Ligue 1, nabbing numerous assists. Maria’s rating of 86 includes the following attributes 87 pace and dribbling, 79 shooting, 85 passing and 70 physical. Standout figures include 94 agility, 88 acceleration, 87 sprint speed and 87 curve, 86 shot power and 85 free kick accuracy. Angel Di Maria also has 5* dribbling skill set and will be a good investment choice, due to his links with the Argentina national side, making him useful for any high-end SBC’s requiring an IF card rated of 85+perhaps.